2011 Honda Pilot with 3.5L engine 4WD. 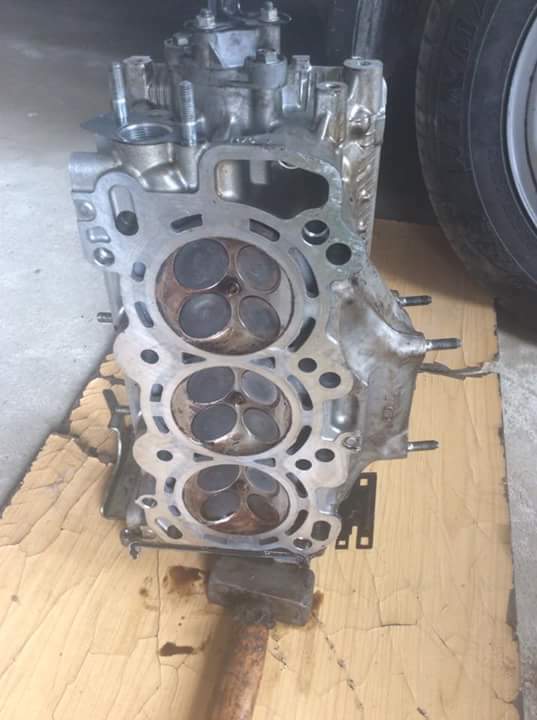 It was diagnosed at our workshop in April 2015 and serviced. 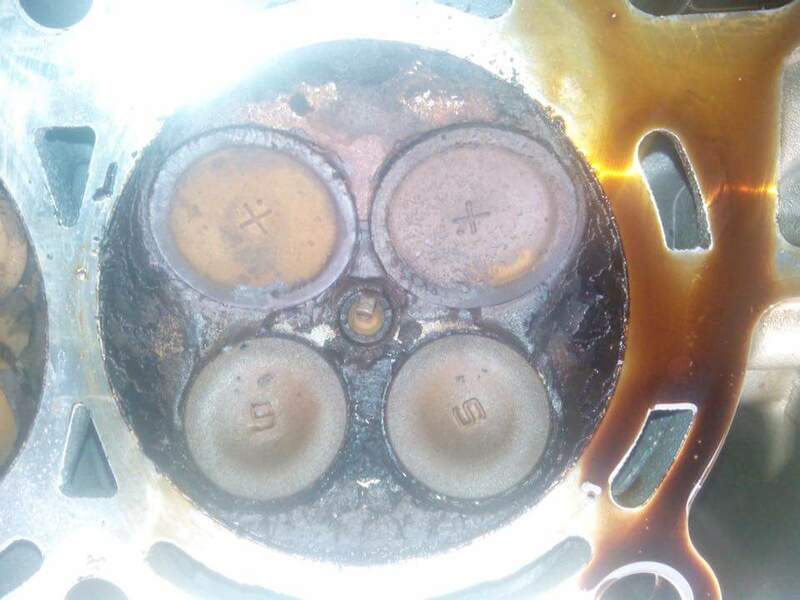 The vehicle had many issues but one very obvious issue was that the vehicle was been serviced with a solvent blend lower than the recommended and the fitter that services it does not even know that he had to reset the oil-life after every service, besides all this he had damaged the drain cork due to the use of wrong tool (destructive repair). We fixed the car and recommended that it should be serviced as specified and detailed diagnosis done every six months. We did our regular follow up on our clients but no response. The client called after 8 months that the car had issues, after diagnosis we discovered that the vehicle had A SINGLE CYLINDER MISFIRE on bank 1, we had to carry out PIN POINT TEST to be sure of the cause, at the end of the test we discovered that one of the exhaust valves on cylinder 3 was stuck open(1st pic below) which was causing loss in compression leading to the misfire. To do a detailed job we had to open up Bank 1 & 2(2nd pic below). The main cause of this type of misfire is incomplete combustion due to time lag in the supply of fuel or voltage. 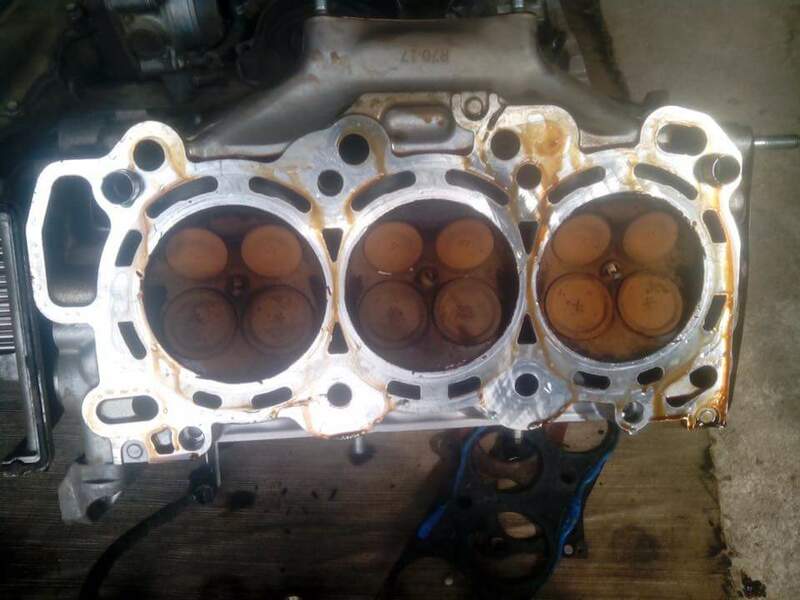 The 3rd pic below is the resultant effect of incomplete combustion on the cylinder head. 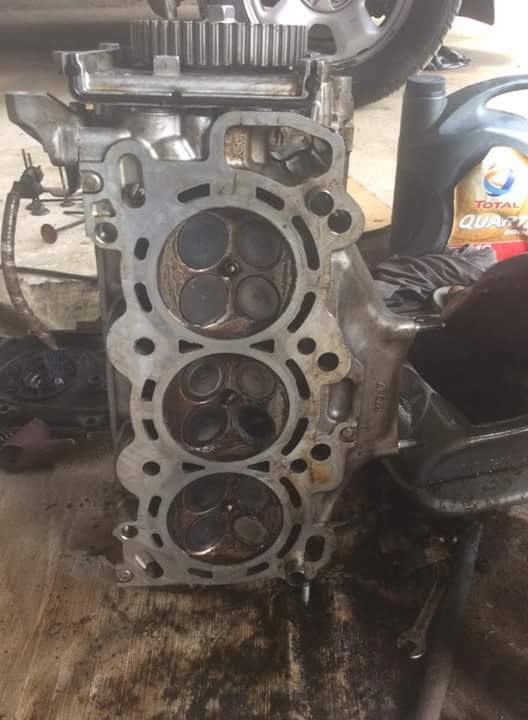 To fix the issues we had to clean the cylinder head, replace valve seals and valves and reinstall them. Symptoms were that, the vehicle misfire are low RPM, at high RPM the check-engine light, VTM-4 sign and ABS sign will be flashing and it vibrates seriously. P0420, P0430, P0302, P0303, P0306, P0305, P0300. 1. No Oil, I mean Not any grade or brand is meant to last in a vehicle for a year. Engine Oils have a shelf life of 6 to 9 months (depending on the condition of preservation). Not to mention the oil working in your engine as you travel from Lagos to Benin. If a company sells engine oil that can last for a year, how many will they end up selling at the end of a year? That’s not a logical marketing strategy bearing in mind they are there to make profit. There could be additives that can increase the working life span of engine oil. 2. A Fitter is not a Mechanic or a Technician. Any workman that can not logically explain what is wrong with your vehicle or how he intends to fix it is a FITTER (In all fields). As the owner, it is your right to ask question on how your vehicle is being fixed. To further buttress this point, in the cause of our pin point test, it was discovered that out of 6 plugs only 5 plugs where replaced for reasons best known to the fitter. This could lead to potential failure of the emission system. Before an oil change is done in your vehicle ask the workman what the oil life is and if he can reset it. For some brands ask if he can reset the MAINTENANCE REQUIRED light, if NO, then RUN. These are systems set by the manufacture to inform the OBD system that the vehicle has being serviced. A fitter can’t offer you any service beyond what he knows. 3. Please don’t bother much on the cost but on the effect if a bad job is done. NEGOTIATE SAFETY FIRST! SAFETY ALWAYS! With the aid of mode 6 in our diagnostic tool, we were able to access the misfire count on all cylinders, which made it clear that our first suspicion of the unchanged spark plug was wrong (cylinder 6), so we had to probe further. Fault codes related to cylinders 3 & 2 repeatedly appear after each pin point test. This necessitated the need to open up the cylinders after we had cleaned the plugs, injectors, checked the fuel pump & filter and all noted OK. 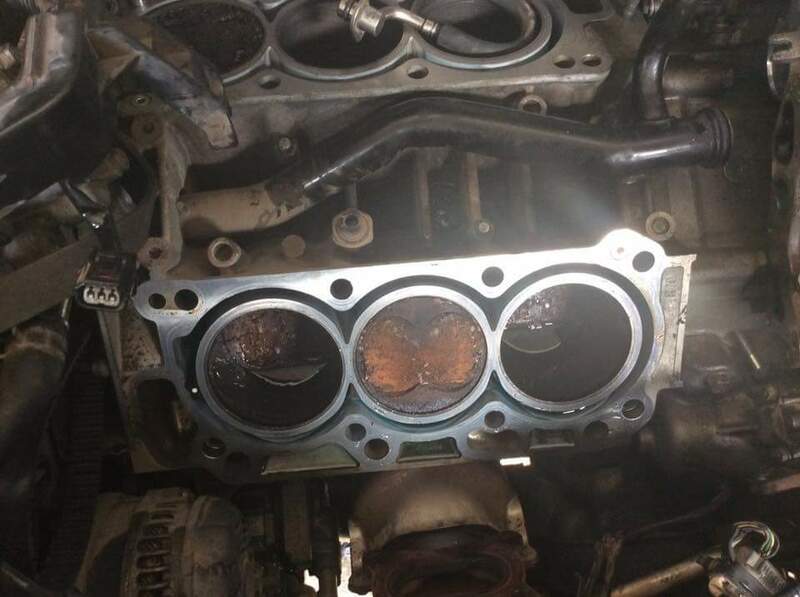 This shows that the issues was a mechanical one which could be a stuck (open or closed) valve, clogged valve seat, bent valve or broken head gasket. Diagnosis is about carefully carrying out pin point test in locating the fault and ascertain if it is Serviceable, Repairable or Replaceable. We finally did complete our diagnosis when we loosed the Top cylinder for Bank 1, the fault was a Stuck Open exhaust valve. 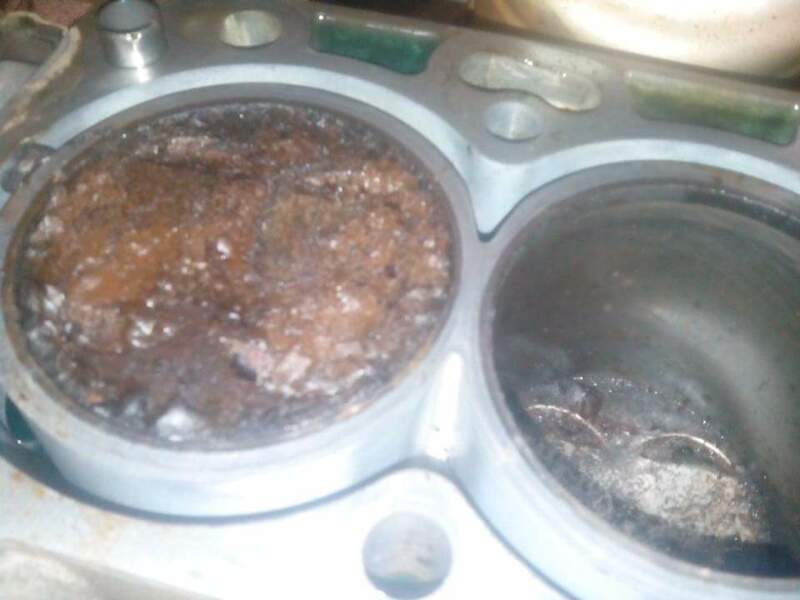 A further analysis showed that the cylinder 1 was covered with lots of burnt particles and impurities and this built up over time to block the seating of the exhaust valve, hence the cylinder 1 was constantly loosing compression as raw fuel and air sneak out through the exhaust valve seats. We simply fixed this by overhauling the upper half of the engine block. A fitter would buy new spark plugs, new coils, new fuel Pump. If it isn’t fixed he will request for an engine replacement. Our best guess is the Fitter suggested the plug change to solve the misfire condition, the fault wasn’t solved, the plugs he got were not OEM Spark Plugs. We are automobile Technicians not fitters. We will keep giving our best to our clients and those who are open to learning. Thanks for reading and I hope you found this information helpful. Be a Fixer not a part fitter… Stay dirty!